Has anyone tried using coconut milk as a LC base? I was just talking about this with my buddy the other day... I have not tried but my thoughts were that it should perform similarly to potato dextrose and a brief google search seemed to support that... I am sure someone on here has given it a try. I haven't tried coconut water, it's kind of expensive and there are so many things that work so good. Grain soak water is good and malt extract is good. Save your grain soak/simmer water and freeze it in a ziplock or such, dilute 1:1 or so for great LC. I hadnt thought of the soak water. I'd filter it first :-). Hey guys, Is this normal? 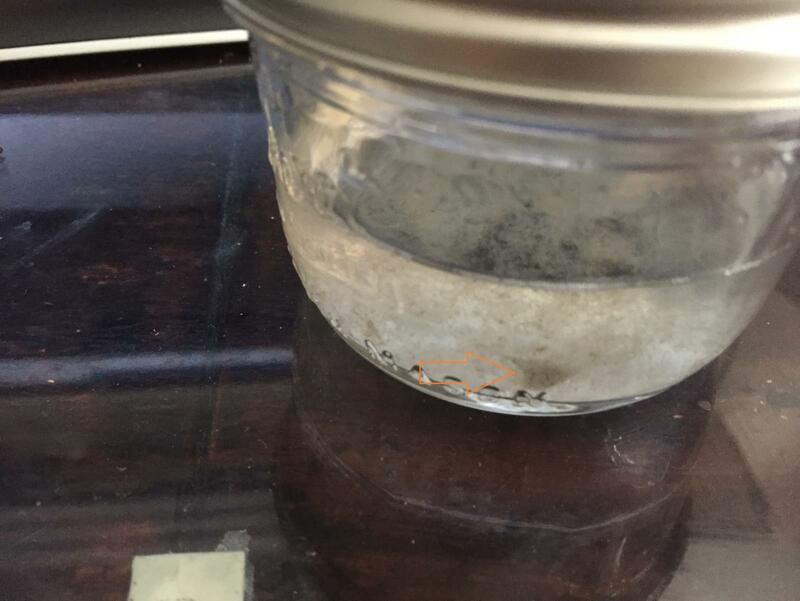 it's been only 5 days since I inoculated this jar for LC. And on day 3 I noticed this big puffy myc. I mean can I use it already? I didn't expect it to be like this so quick. Should I put it on the stirrer until it dissolves? I did put it on the stirrer early today for about 40 mins. Edited by TheArchangel, 14 December 2018 - 09:31 PM. 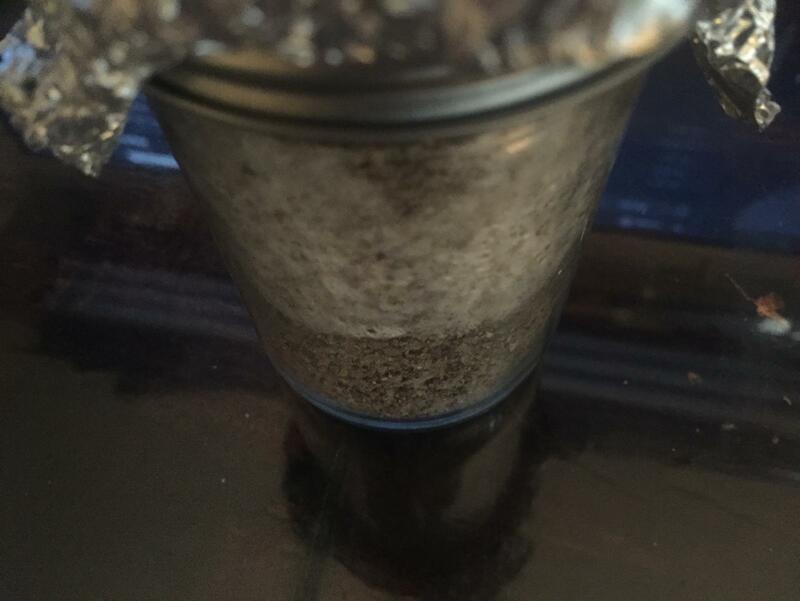 Here is a photo of a Golden Oyster LC I started from another LC.... It was aggressive... This is after 3 days which I thought was fast. Edited by PJammer24, 14 December 2018 - 10:43 PM. Yeah mine looks like yours, maybe thicker. I used spores. 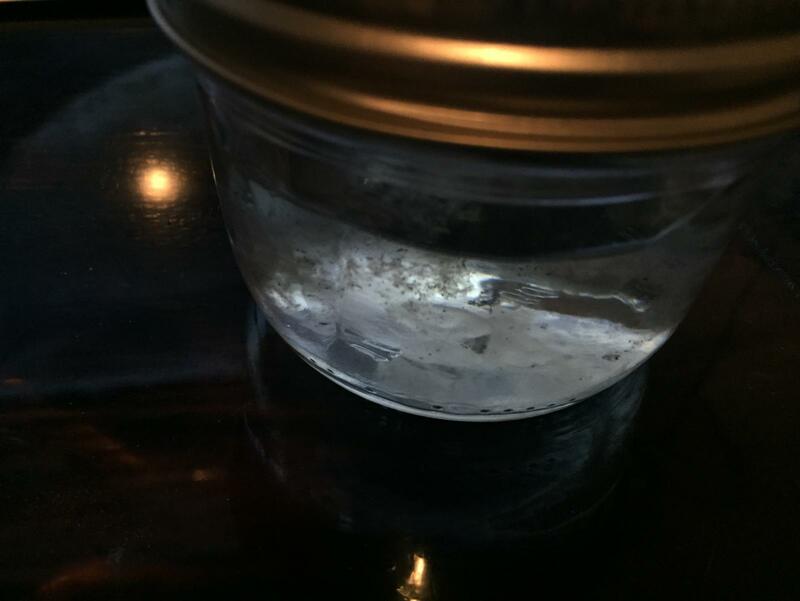 There were lots of clots of spores in the syringe that got then transferred onto the jar. Another LC jar I did on the same day, but from a different strain, is no where near this one. On that one you could see some minor growth if looking really close. 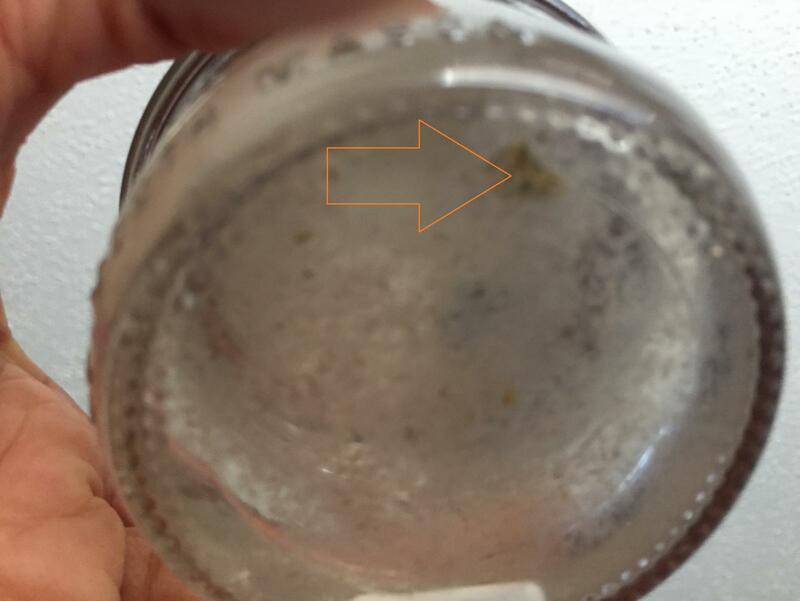 Difference between the two jars I see is that the one in question has got spores clots in it. How much of this should I use to inoculate a 1/2 pint jar? When I accidentally shot clots into my LC it was super fast, identical to yours. The spores dont have to look too hard for a mate. Just make sure to give that thing a good shake to break things up, and continue stirring a couple times a day. 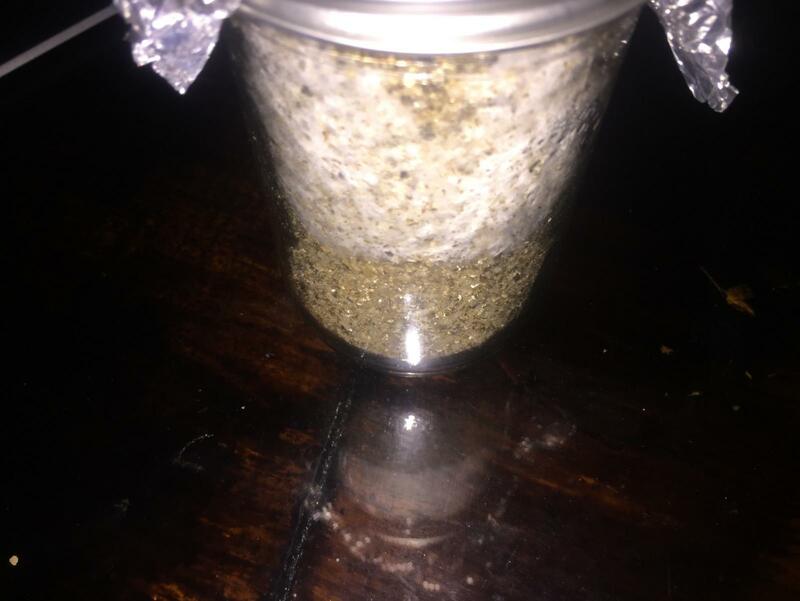 You can use it in a few days, I find if you let the mycelium use most of the nutes before you use it, they contam less. Use the LC like spore water. 1 to 2 ml per jar, more if you can spare the extra water in the grain. You can also shake after innoculation. Edited by Deleena24, 15 December 2018 - 09:28 AM. Is this bad? I used it yesterday and today I found it developed this brownish clot. You used the LC for these? If so, congrats. It's nice to see people be successful on the first go. Yes, I also made a second LC from the original LC. None of the ones I made from honey or Karo worked for me. They never colonized. I must have done something wrong. Not going back to that anyways as this premix is working pretty good. 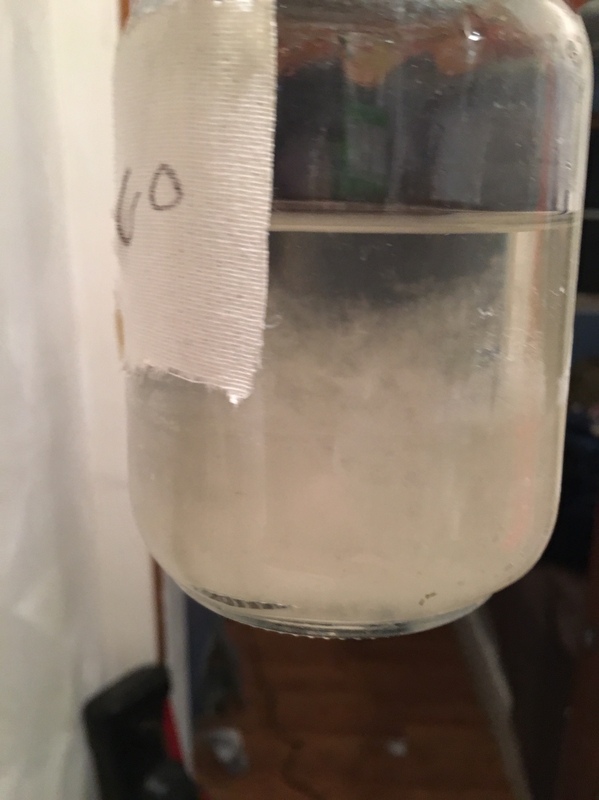 Six jars are about 40-45% colonized after a week. Yeah, Karo is hard to get exactly right. That premix makes it so simple, and the growth is so nice. You can also PC it for a full 30 min. with no caramelization. 40% colonized in a week is awesome. 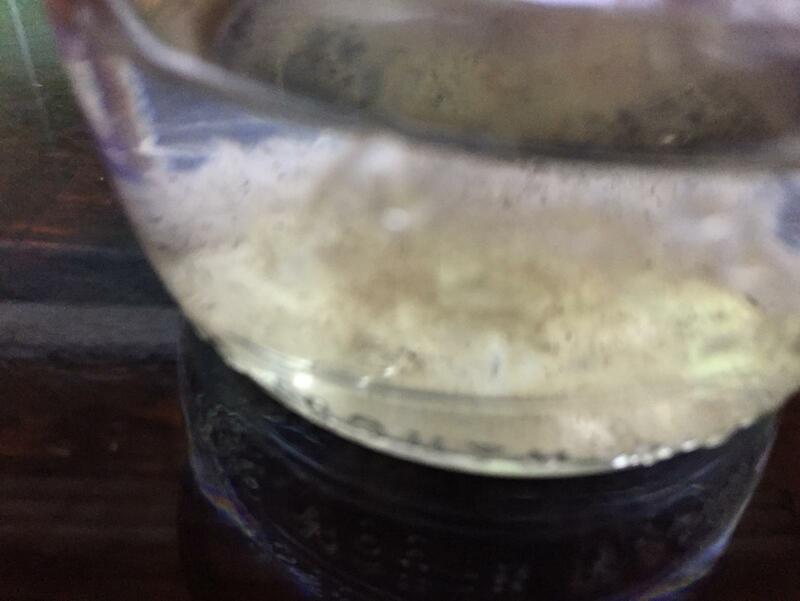 Keep swirling so the mycelium doesnt grow to densely to break up. That's what I've been doing, thx.